Ada Albright has over a 20 year distinguished career in the area of training design and development. Her expertise is working with adults who are substantive experts and giving them confidence and skills to become effective classroom instructors. She helps adults overcome the challenges of public speaking. Currently she is transferring that knowledge to working with children and horses. The youth that she works with do not have experience with horses and have also had challenges in the community. Children’s lives changed as they interact with horses and embrace the balance and commitment to caring for horses. She has rescued 2 horses and gives speaking engagements to promote her services to the community. She has volunteered in therapeutic riding programs, summer camps teaching as an instructor, and has taught children who have never been close to a horse to appreciate, care for, and ride with confidence. She is now realizing her dream of having her animals in her backyard and opening her farm to children in the Metropolitan area to embrace the beauty and joy of communing with our equine friends. Many children do not have the opportunity to touch, pet, embrace a horse. Through Kiddy Up With Horses, she hopes to make this a reality for children everywhere. 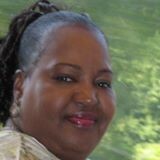 Charita Albright-Green (Charita) is a recent retiree of the Federal Government. After serving 38 years at the U.S. Small Business Administration, Charita continues to assist small businesses in achieving their goals as successful business entrepreneurs by recommending resources such as loan assistance and referrals to Small Business Resource Centers and SCORE, (Service Corps of Retired Executives) to obtain loan counseling, support in writing an effective business plan, and obtaining required licensing, etc. 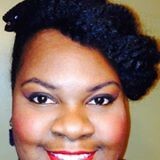 Charita has been Minister of Music at several churches in the DMV ongoing for 30 plus years. 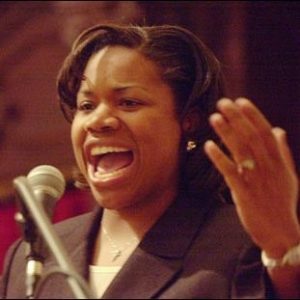 She is currently Minister of Music at Lee Memorial AME Church in Kensington, MD. She enjoys playing keyboard for two choirs and has planned “Joy Night” and “Choir Day” for these choirs this year, and assists the pastor with musical accompaniment for outgoing speaking engagements and other services. 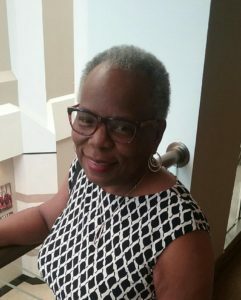 Charita is a regular contributor to the ASPCA (American Society for the Prevention of Cruelty to Animals), a member of a social club, Friends Forever, a volunteer for Christmas in April, an AMVETS Auxiliary member, and a board member of the SBA Retiree Committee. In addition, Charita serves on the Board of Kiddy Up with Horses, owned by Ada Albright, her sister. As a board member for Kiddy Up with Horses, Charita hopes to assist Ada in any capacity required, with emphasis on fundraising. Charita is married to Willie\ R. Green. They reside in Clinton, MD. 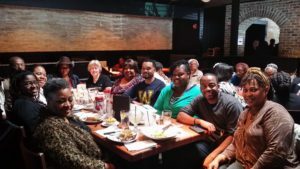 Deanna Dykes was selected to stage her full-length theatrical production, “Intimate Apparel” at the fourth annual DC Black Theatre Festival in June, 2015. 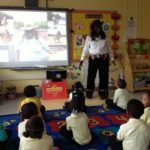 Deanna is not only creative, talented, and imaginative, she is also an Educator working with children and giving them experiences that both enrich an enhance their young lives. Deanna is also a graduate from the Johnson C. Smith University. Deanna’s contribution to Kiddy Up With Horses would be to tap into the education system to encourage the Kiddy Up With Horses as part of the classroom experience. Amy Mosely is the founder and CEO of Each One Feed One, Inc., (EOFO,Inc), is a 501(c)(3) non-profit public charitable organization providing meals for the homeless community. Through volunteers, organizations, corporate sponsors and our community of family and friends, we receive goods and services and financial donations to carry out our mission. EOFO, Inc. provides over 600 meals monthly to families, mothers and children, women and men shelters in the District of Columbia and Prince Georges County, MD. Amy has provided guidance to Kiddy Up With Horses in the start up phases. She has been a resource to Ada as she applied for her 501(c)3 status both with the state of Maryland and Federal. Amy has answered questions, provided resources for review and use. And pledges to be there to answer questions and offer support to the young organization. Her experience with working with a Board of Directors will help guide the work that can be considered for the Kiddy Up With Horses Board of Directors. Prior to this position, he was the IT Manager/Architect, Financial Systems Group at the Government of the District of Columbia. He held the position of Managing Consultant and Senior Consultant at IBM Global. Wes’ expertise is versatile in the areas of Business Process Improvement, Program Management, IT Strategy, Project Management, Business Analysis, Management Consulting and a number of other business management skills. He holds a Master of Business Administration from the Howard University School of Business. He has been described as detailed oriented and a problem solver. Jennifer Hawkins is a policy, brand and cause advocacy professional with extensive experience in developing public-private partnerships to better serve communities of interest. She has a diverse background in non-profit management, strategic communications, statistical research, and community outreach. Jennifer is a highly successful adviser to top government officials. Her legal studies include labor law (including collective bargaining agreements), antitrust, copyright, employment discrimination, disability discrimination, public interest advocacy, entertainment law, and communications law. She is passionate about improving educational opportunities for underserved communities. Her expertise in website development and marketing will benefit the startup and growth of Kiddy Up With Horses. 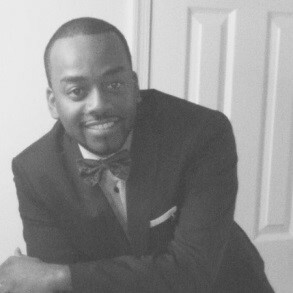 Mark Hill is a grants management specialist at the District of Columbia Department of Health. He received his Master of Public Administration from the University of the District Columbia. He earned a Bachelor of Arts in Communication from the Ohio State University and began his career in public service in 2001 as an administrative associate at AARP, Inc. From 2005 to 2009. He was the program coordinator for the National Youth Advocacy Coalition’s HIV-testing social marketing campaign. 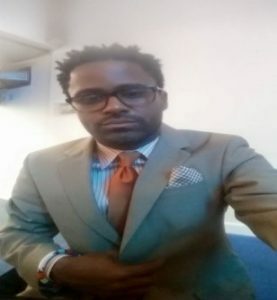 Since 2009, he is employed with the District of Columbia Department of Health where he monitors federal and local grant-related activities for the HIV/AIDS, Hepatits, STD and Tuberculosis Administration. Mark has expert knowledge of the operations and activities of grant funding cycles and processes. Mark states that his formal education would provide skills necessary to develop policies to improve our infrastructures and make our processes more succinct, allowing the Kiddy Up with Horses to enhance the lives of children in the District of Columbia metropolitan area. Lonnie Hutchinson is the Community Relations Special Project Coordinator for the Psychiatric Institute of Washington in Washington, DC where he develops and implements outreach activities for the communities of Washington, Maryland and Virginia. Lonnie is an expert in clinical assessments and has developed curriculum for providing training to the community and government groups on public health initiatives and mental health services. 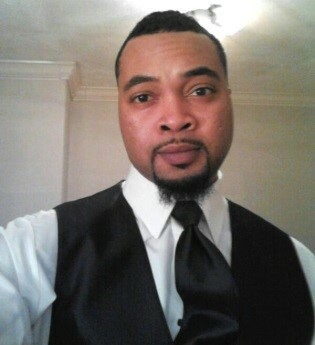 Lonnie received his Bachelor Degree in Psychology from the Johnson C. Smith University and his Masters in Counseling Psychology from the Bowie State University. In addition, he received his TRA in Addition Counseling. Lonnie has over 15 years assessing and implementing extensive healthcare initiatives. His professional experience ranges from hospital program administration to non-profit in health care and management. In his free time he devotes his energies through his LLC, MYHAND (spell out) to counseling and program development to organizations who are dedicated to working with at-risk youth. 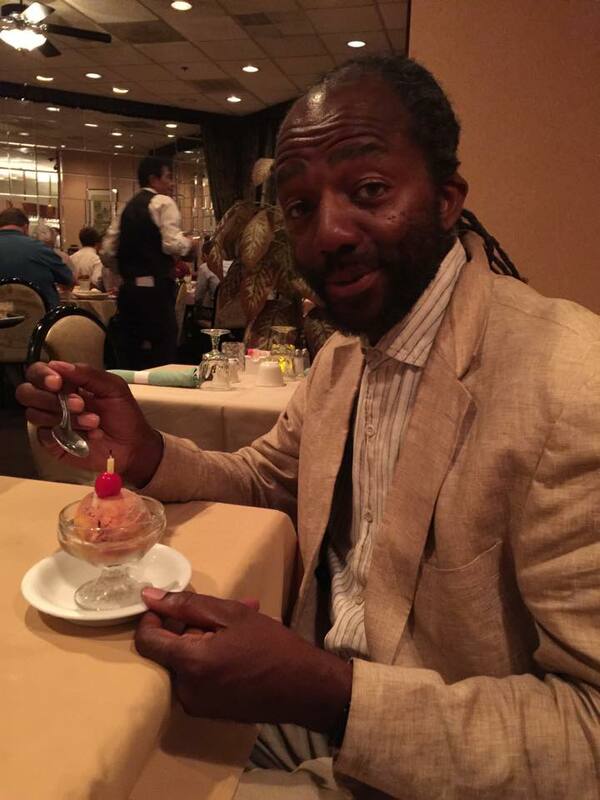 Mr. Hutchinson is an avid golfer, biker, father and grandfather and Christian. Linda Hutton currently lives on a 170 acre farm with her husband, Phil, in Aquasco where they raise beef cattle and play with quarter horses as a hobby. They currently have three horses and one pony. Their beef operation averages around 15-20 head. With the advent of genetic testing for tenderness and marbling, their efforts focus on producing high quality, hormone-free beef. They grow their our own hay and maintain pastures using rotational grazing. Linda has a lifelong interest in agriculture. While growing up in Delaware, her mother managed the family dairy operation, while her father grew sweet corn and was one of the State’s largest pea and lima bean producers. Eventually, her parents switched from producing foods for human consumption to growing field corn, soybeans, and wheat on approximately 2000 acres. While attending the University of Delaware, she got a BS degree in Animal Science and married Phil who also got his undergrad in Plant Pathology/Entomology and his MS in Entomology. As a board member for “Kiddy Up with Horses”, she hopes to assist Ada with pasture management, care and maintenance of animals, and general farm knowledge. This past winter was tough and Ada did a great job. She is off to a great start and has a fantastic team to support her. May God bless Kiddy Up! Pastor Robert E. Slade received his Bachelor of Science degree in social science from Elizabeth City State University in North Carolina and his Master’s Degree from Bowie State University in Bowie, Maryland. As part of his theological preparation, he was awarded his Master of Divinity degree from Howard University in May 1994. 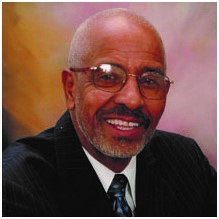 Pastor Slade held several positions with the Prince George’s County Public Schools before accepting his calling into the ministry. Those positions included classroom teacher, transportation assistant, director of transportation, associate superintendent for supporting services, and deputy superintendent for Prince George’s County Public Schools in Maryland. He was ordained into the ministry in 1994 and avails himself to opportunities to preach the Good News of Salvation. He preaches to a gospel-centered life and places unquestioning trust in the will of the Holy Spirit. Pastor Slade has served under appointment in the Baltimore-Washington Conference for 11 years as pastor of Mt. Zion UMC in Washington, D.C. He adhered to a vision God gave him to expand the ministry by opening a satellite worship site, Mt. Zion Ministries Center, located at Bells United Methodist Church. In 2006, after challenging members of his church in a sermon to “use their gifts and resources to glorify God,” he decided to use his own resources—farm and horses–to provide a weeklong equestrian camp during the summer for children and youth. Aaron Wade is a senior executive with 7+ years of management experience in leading non-profit and for- profit organizations. My background entails training and development, recruitment, and project management. In the previous five years I maintained exceptional performance ratings from previous employers. I am respected by clients, peers, and senior leaders for my drive to produce results in transforming concepts that focus towards meeting the organization’s strategic goals. Aaron is certified facilitator with additional experience in training, curriculum design and program development and management. Previous experiences includes facilitating sessions across the nation for Federal agencies, universities, faith based and other community based organizations. He has trained and certified facilitators in effective curriculum delivery, style and methods. Areas of concentration includes: Psychology, Public Policy and Divinity & its intersection with HIV/AIDS in the Black Community. His leadership, management and strategic planning experiences have provided stakeholders and other entities with the necessary tools to effectively strengthen their programs and infrastructure. Ernestine Ward is a Paralegal Specialist with the U.S. Department of Justice. Prior to her joining the Federal Government, she was the Development Director for the Restaurant Opportunities Centers United. She also held the position as special assistant to the Director of the National Community Reinvestment Coalition. Ernestine received her law degree from the New York Law School in 2007. She is admitted to both the New York and Maryland Bar Associations. Her passion is in community organizing and helping young organization to become independent. She has excellent skills in grant writing and will be an asset to Kiddy Up With Horses in securing grant funding opportunities. Jodi Albright is a Program Coordinator working for a non-profit agency in Washington DC. In her current job and for the past 20 years her passion lies within working with people with intellectual disabilities in various capacities. Ms. Albright has worked with a wide range of people living with various disabilities ranging from severe/profound to very high functioning cognitively and developmentally. It brings her great joy to be able to interact with the people in this population on a daily basis and assist them with living their best life! In addition to her professional career Jodi also is a singer and keyboardist. She is a music lover and enjoys playing and singing various types of music. For over 20 years she has been playing for religious establishments (currently 2) as the musician/choir director. Jodi believes that one of her purposes here on earth is being able to teach music to choirs and bring forth the ministry of music in worship as a director, musician and psalmist ... it was, is and always will be extremely rewarding! Ms. Albright resides in Southern, Maryland and has recently started the process of studying to become a certified music therapist working with the special needs population. 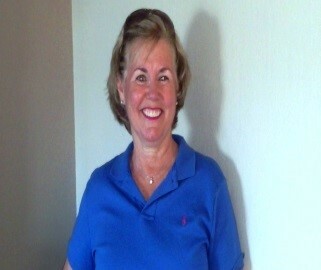 Sheila Pratt has over 40 years experience in accounting and preparation of personal and business tax returns. Her background stems from graphic design and photography. She is currently working as retirement analyst with ICMA-Retirement Cooperation where she is responsible for working with IRA planning and Retirement Health Savings Plans. She brings her financial expertise and desire to help with inner city youth grow as they learn about the Equine world.